JT – The first grand prix of the 2018 Formula 1 season is in the books. Sebastian Vettel scored a surprise victory for Ferrari at Australian Grand Prix after a virtual safety car period. Having stayed on track longer than Lewis Hamilton and teammate Kimi Raikkonen – both of whom had already made pit stops - Vettel leap-frogged the pair by pitting under the VSC. He emerged in the lead and held it to the finish. Hamilton, who had led from the start until his pit stop, was unable to seriously challenge Vettel. Raikkonen finished 3rd. 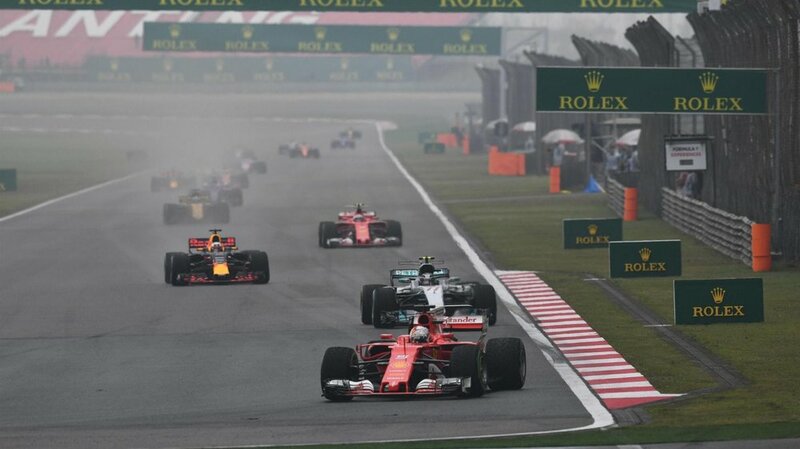 There were just five overtakes in the race with multiple drivers complaining that they could not overtake other cars because of aerodynamic turbulence and power unit/engine overheating concerns. Fan reaction has been overwhelmingly negative following the seasons’ first contest. Red Bull racing’s Max Verstappen agreed, calling the race “Completely worthless. I would have turned off the TV.” What did you make of it? SJ – Yes unfortunately, it was just more of the same thing we’ve had for the last few years. And why wouldn’t it be? Nothing has really changed. The cars have even more downforce than they had in 2017 and the formula remains the same, so it’s inevitable that there will be less passing. While the result of this race may not have shown it due to other circumstances, the worry is that Mercedes looks even stronger compared to the rest than they did last year. It seems like they’re almost back to the advantage they had in 2016. Track position is everything now, even more than it used to be, and there’s no doubt that the Mercedes are the quickest cars. But no one, no matter how much quicker they were than the car in front, could pass. [Valtteri] Bottas for example struggled to pass even the much slower guys in front of him. It’s a real problem and anyone involved in the decision making process of the new rules should have seen this coming. Which ponders the question, how did they arrive at this solution as the final answer to whatever the problem was they were trying to fix in the first place. Was it the trade-off between faster lap time and less passing? And if so, why did faster lap times win over less passing. Or could it have been that they simply didn’t know that more downforce will produce less passing? Hard to believe, but not impossible. Unless they forgot to ask any driver who’s ever raced high downforce cars, that it becomes almost impossible to pass? It seems incredibly obvious to me that more passing and subsequently more interesting racing to watch would have won that argument hands down, but it didn’t and here we are, with everyone now complaining about the lack of passing. JT – The track position point you make is on target. Bearing in mind Mercedes’ performance advantage and the continuing difficulties drivers are having overtaking other cars because of turbulence, fuel-saving - and now it appears, power unit temperature management issues - in the likely event that Mercedes qualifies up front they will just walk away from the field consistently. Do you agree? SJ – Yes, at this point this isn’t exactly news to anyone. For several years now it’s been evident that the ever-increasing downforce just isn’t the way to go. It ruins the racing. You can get to within three or four car lengths of the guy ahead and then you’re basically stuck, no matter how quick your car is. As soon as you get any closer you lose all front grip and it’s now so bad that even when you’re within DRS range you still can’t get close enough to have a go at the end of the straight. The problem is worse in F1 than any other category because the aerodynamics are so sophisticated. And the engine issues, well, I could never understand the logic of only being able to use three engines per season. I don’t understand what purpose this serves in the bigger picture of Formula One racing, I assume the original intent was to cut the costs, but as we have seen so many times before, all it did was the exact opposite, making the costs go through the roof. When Lewis saw he couldn’t have a go at Vettel, he simply backed off to save the engine, effectively giving up trying to win the race with some laps to go. It was the right thing to do in the circumstances, but had there not been the issue of the engines having to last he could have kept pushing as hard as possible right to the end in the hope that Vettel would have made a small mistake which would have given him the chance to pounce on him with a lap or two to go. But with the risk of getting grid penalties towards the end of the season teams now have to weigh up the pros and cons of having a go, or to wait for another day. It’s hard to understand the logic behind all this at times. It has never been more expensive than it is now for the smaller teams to buy an Engine program. If there had been a simpler engine formula there would have been several companies capable of supplying a competitive engine. But with the combination of the Hybrid component and the fact that the engines have to last so much longer which means the use of extremely expensive materials and subsequent development cost has made it impossible for any independent company like Cosworth, Mecachrome and several others to even contemplate to compete. This in turn have given even more power to the big manufacturers as they now literally control the entire grid. And as history will tell you, sooner or later they will ruin every championship they compete in, as when it doesn’t serve their purpose any longer they’ll be gone, literally overnight. We can see the start of this happening now, with the big boys starting the posturing with Liberty about the new rules, and the deals they all want going forward. It will be interesting to see how all this unravels during the course of the year. The main priority in my opinion though, is to make sure the engineers are not involved in the decision making of the technical rules. Otherwise, nothing will change. They just want more of the same. They need someone who really understands Formula 1, both from the FOM (Liberty) side, but more importantly also from the FIA side, someone who has a complete handle of the bigger picture and who is respected by everybody to formulate a new rules package that makes sense from a sporting, economic and technical point of view and then just say “these are the new rules, take it or leave it.” From the Liberty side Russ Brawn is, obviously the right person for this job, he seems to have assembled a great team of very competent people around him so let’s hope that the decisions they eventually come up with will take things in the right direction. I have my doubts however, that they will go all the way needed and it will end up being some form of a compromise as there will be pressure from the manufacturers and the FIA to stay politically correct and relevant to their agendas. The most important aspect of all this, and I think this is where it’s often failed in the past, is that the FIA have simply not been strict enough or fast enough to enforce the rules when someone is pushing the envelope on what is allowed or not. Every one of the top teams have several people doing nothing but scan the rule book to find loopholes in the rules in order to gain an advantage. The danger is that there will be a combined knee-jerk reaction by the FIA, the teams and Liberty. The increase of downforce for 2017 was kind of a knee-jerk reaction to the fact that the GP2 cars were nearly as quick as the F1 cars at some tracks in the previous years and they felt they had to do something to make the lap-times look more respectable. The Halo was a knee-jerk reaction to the accident of Jules Bianchi. So now the cars are several seconds per lap quicker, but who cares? It’s irrelevant because they’re only quicker mid-corner and actually a little bit slower on the straights. So the spectacle is no different, in fact it’s worse as all they’ve done is making the passing even more difficult, and the cars look more and more ugly each year because that’s what the aerodynamics dictate. I think what is missing more than anything right now is the “Awesome Factor”. I feel that’s what’s needed more than anything in motorsport in general but particularly in F1. They need to somehow get the “Awesome Factor” back. Right now it’s only awesome in the sense that the technology is absolutely amazing, but unless you’re a complete geek no one can appreciate it and you certainly can’t see it when the car is running. At Indianapolis for example, you go to the 500 for the first time and you’re just blown away at the speed the cars are doing. They come by you so fast that you can’t even focus on one car easily. You have to kind of lock-in on it and follow it with your eyes as they’re all ripping by in a blur. That’s cool! That’s what people dig. They don’t care if a car is a few kilometers quicker in a hairpin or a chicane, no one can appreciate that, except maybe a few die-hard fans but they will show up no matter what anyway. JT – F1 is experiencing a quantifiable decline in viewership and a palpable decline in interest from people who were once enthusiastic about it – never mind the series’ challenge in attracting new fans. As mentioned, the reaction from fans and drivers alike to the first grand prix of this new season has been overwhelmingly negative. Do you have any hope that Liberty Media and F1 will create a new formula that solves the problems we’ve discussed for several years now? SJ – I just want to say first of all that it bothers me that we have to always sound so negative, I’m a very positive person as anyone that knows me will agree to. But unfortunately, if we are to have an open and honest dialogue about these things, it inevitably ends up this way. To answer your question, at this point no, and it worries me a great deal. 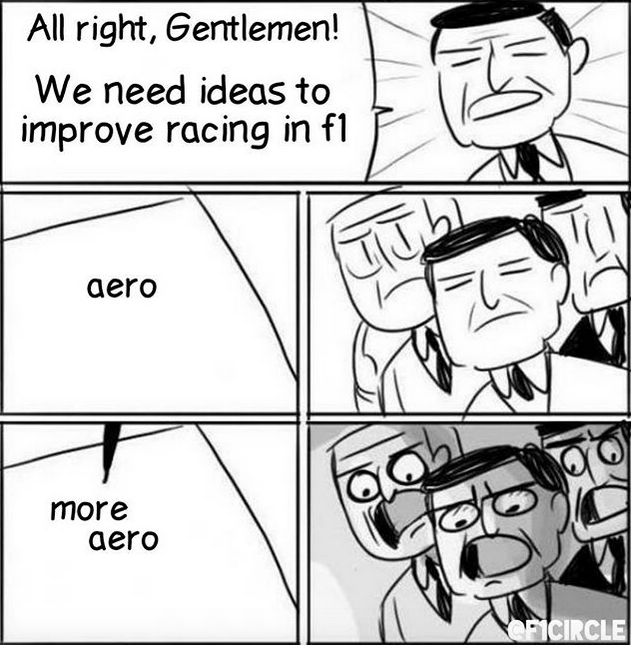 No one in F1 seems to be willing to take their foot off the gas in terms of the crazy aero development war that has been going on with increasing lunacy for years now. No one, or at least very few, care about sophisticated aerodynamics or hybrid powerplants? What’s important is good racing and spectacular looking cars, where people can visually see and appreciate the skills of the best drivers in the world giving it all they’ve got. Having all this technology constantly and needlessly applied to the cars over several years has killed the racing and sent the costs through the roof - absolutely unnecessarily. There’s no benefit to anyone from it, there’s no innovation involved, no creativity. It’s just pounding away at the same old worn out concept, gaining a tenth of a percent here or there. Especially as there are so many different and far more relevant ways that they could achieve speed or make progress. That’s what’s so annoying. When you have road cars with more horsepower than F1 cars now, with higher top speeds, with other aspects of technology that are more advanced in many areas – F1 isn’t the ultimate anymore. Instead it’s going down a path of political correctness that will eventually ruin the sport if it’s not careful. The key point in every one of these discussions about new rules, sporting regulations etc, should always be; will this improve the racing, will this make it more exciting to watch. If we loose the main ingredient of why people tune in to watch, it’s difficult to make anything work from there. SJ – Mario’s is absolutely right. He’s saying the same thing I’ve been saying all along. Everything IndyCar’s been doing in this regard lately has been great. The cars look good and the racing, as we saw in St. Petersburg, (the 2018 IndyCar opener) is terrific. Can you imagine if the Australian Grand Prix had the same amount of action IndyCar had at St. Pete? People would have gone bananas. IndyCar provides the best racing out there, no question. They’ve done the right thing with the cars and it doesn’t need a lot of thought. Limiting downforce is the obvious first thing to do and it has to be done in nearly every category. I’ve been saying it for years now and I’ll say it again, aerodynamic downforce has run its course in racing. I don’t know why it’s taking so long for the penny to drop and for everyone to realize that it ruins the racing, at a cost that makes nearly every form of motorsport several times more expensive than it needs to be. Not only that, it creates ugly cars. The current F1 cars are just not attractive looking cars. They look weird with their long wheel base, little balloon tires and aero bits hanging off the sides everywhere you can find a space to hang something. Just like the previous Indycars did. So well done to Jay Frye and his team at Indycar for listening to the right people and making the right decisions, Indycar is on the right path and I sense a lot of positive momentum in the series at the moment. JT – Speaking of looking ridiculous, there has been widespread criticism of the “Halo” safety device now mandatory for F1 cars. Fans detest it and it makes identifying drivers more difficult because the Halo blocks any view of their helmets. But you did a test with CVC Simulations recently (watch video bellow), driving a virtual F1 car with the Halo and concluded that it doesn’t hinder driver visibility. Apparently that’s correct because as yet there have been no complaints from drivers following the Australian Grand Prix. SJ – Yes, from the driver’s point of view it’s really not a problem. The Halo does make it hard to see who’s in a car though. The drivers may as well not bother painting their helmets. They’re just not visible anymore. It’s there for a good reason of course, but I wish as time goes by they will be able to come up with a better and more esthetically pleasing solution. JT – Looking at the performance of the rest of the grid apart from Ferrari, you’d have to conclude that no one is even within shouting distance of Mercedes. There was improvement from some of the mid-field runners including McLaren. Fernando Alonso finished 5th with teammate Stoffel Vandoorne coming home 9th. The Haas F1s of Kevin Magnussen and Romain Grosjean were looking very good in 4th and 5th until identical mistakes in pit lane ended their races. Meanwhile, the mid-field standout of the last few seasons – Force India – looks to have declined the most in performance. Williams and Toro Rosso Honda are now back-markers along with Sauber Alfa Romeo. What are your thoughts on these teams? SJ – Force India has kind of been the miracle team of the last three years, punching well above their weight each year. Teams always rotate from year to year in the midfield group. Every now and then a particular team gets it right and sometimes they themselves don’t necessarily know why they got it right. The chances that Force India would be the leader of that pack yet another year with their relatively limited resources are slim and it seems that Haas may now be in that situation this year. They definitely look like they’re the closest mid-pack team to the front runners. They were very impressive throughout the pre-season testing and again in Australia until halfway through the race when everything came apart for them. It’s looking very encouraging for them going forward, although the first 3-4 races are always the “easy” points as everyone eventually catch up as the year goes by. Of course, now everyone’s moaning about them being a Ferrari “clone” but as I’ve said from day one of their program, so what? If I was to start a Formula 1 team, the way Haas has done it is absolutely the way I’d go. If the rules allow it, why wouldn’t you do that instead of throwing away tens of millions of dollars on hiring people and doing your own development when you can get the same or most likely a much better solution from one of the best out there. I’m just surprised more teams aren’t doing the same thing. Williams seems to be just continuing its downward spiral. It’s sad because they have such great history. But it doesn’t look like their performance is going to change much any time soon. Toro Rosso is struggling although I still believe that Honda will eventually get it right as long as they stay committed, and when they do I think they will be very strong. I was hoping Sauber would be the team to make the big jump this year with the Alfa Romeo connection and I’m sure increased technical support from Ferrari. Maybe it’s too soon for whatever changes they’ve made to take effect, but it doesn’t look great judging by the pre-season testing and the first race. I think Bottas is really starting to feel the pressure now at Mercedes. And I think it emphasizes again how good Nico Rosberg was. People are still reluctant to give him the credit he deserves. Lewis is clearly one of the best the sport has ever seen and for Nico to be so close to him all the time, and then to do what he did - to beat him - was impressive. I think Bottas is in a situation now in which a lot of guys have found themselves over the years. The difference between being a really promising driver in a midfield team and a proven, top line in a top team – you never see that until a driver gets thrown in the deep end at places like Ferrari or Mercedes or Red Bull and previously, McLaren. It’s not enough to be promising when you’re in teams like that. You can’t just have the odd great practice session or qualifying or a few great races. You have to deliver every time you step into the car, you’re expected to be right at the top of your game every session and every race. So we’ll see if Bottas can raise his game and match Lewis speed in the coming races. JT – As we’ve already mentioned, the IndyCar season is now underway as well with the first race, the Grand Prix of St. Petersburg, having run in mid-March. It was very competitive with not only the established star drivers running quickly but a very fast group of rookies pushing them and sometimes surpassing them. The new drivers and teams in IndyCar are creating excitement alongside the new universal aerokit and it looks like there should be a very intense, very interesting fight for the championship this season. Do you agree? SJ – Yes it’s definitely exciting with some fresh blood and a pretty good shakeup among the ranks. Ganassi had issues with maybe not playing strategy quite right during qualifying and Team Penske wasn’t really where you’d expect them to be either all weekend. The powerhouses of the past weren’t really where you might have expected them to be, but the thing is there are really no weak teams in IndyCar anymore. They’re all pretty damn good. They’ve all improved and what you’re allowed to do to the cars with the new kit is limited, which means that any of the teams who get’s it right on the day has a chance of winning. That’s a good thing and the racing shows it. It really is a case of who can get things right on race day, which Bourdais showed again winning from way back on the grid in the Dale Coyne car. JT – That parity among teams together with the fast crop of young drivers coming into the series is creating competitive pressure on all of the drivers. Routine decisions about qualifying, racing or passing aren’t quite as routine as they were and it’s challenging even the best drivers. You could see that at St. Petersburg with the mistakes that top guys like Scott Dixon and Will Power made. SJ – Yes, absolutely. It’s going to be a good fight as you say and the cars look like proper race cars again. I think it caught everyone a bit off guard at St. Pete how difficult and different the cars are to drive now compared to what they were. It’s definitely going in the right direction. 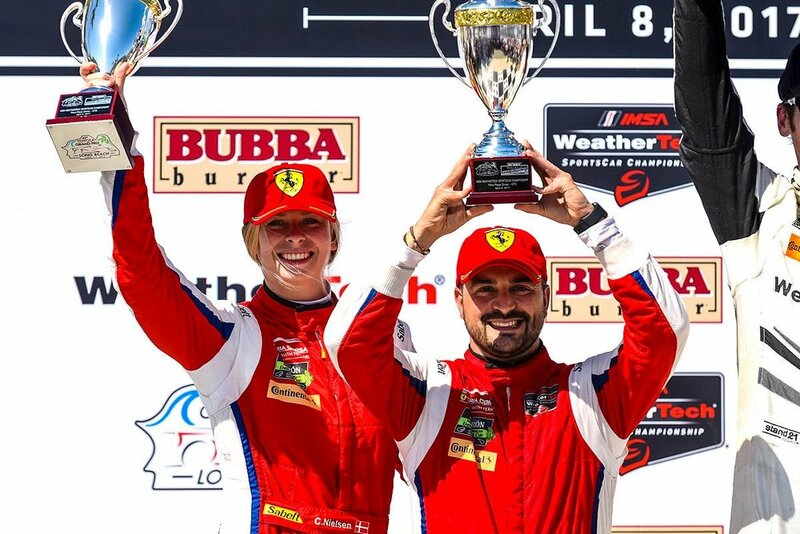 JT – In addition, to St. Pete you were also on hand at Sebring for the 12 Hours with Scuderia Corsa. 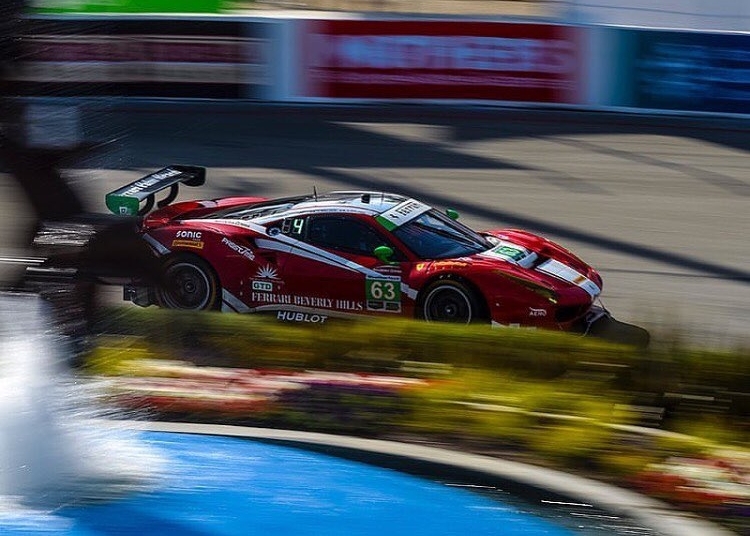 Cooper MacNeil, Alessandro Balzan and Gunnar Jeanette in the #63 Ferrari 488 GT3 had a very good race. They pushed hard to finish 2nd in the GTD class, beating some very strong competition. Unfortunately their teammates – Townsend Bell, Bill Sweedler and Frankie Montecalvo in the #64 sister car – were out of the race early when a P2 spun in front of Montecalvo in Turn 17, leaving him nowhere to go. What did you think of the team’s performance and the race in general? SJ – The guys in the #63 did a great job. The accident for the #64 was a strange one and the damage was pretty significant. It was a very unfortunate thing to have happen that early on in the race. It was no fault of anyone really, just one of those bad luck situations where everything went the wrong way. There was really nothing Frankie could have done to avoid it. The prototype battle was pretty good and the pace was quick. It was close too although the P2s seem to be behind the DPis with the BoP. The cars that came from Europe and the P2s that are in the series with the Gibson engine – they just can’t run with them. The GTLM BoP was a bit ridiculous too. The car that hadn’t been anywhere near the front at Daytona is now the fastest all of a sudden? It’s the same old problem with BoP. There’s only ever one car or team that’s happy and they normally stand on the top of the podium, everybody else feel they’ve been screwed. There has to be a way to create a formula where you build a car, have competitive racing and may the best man win. If you want to compete, you’ve got to build a car you can compete with, period. I know some manufacturers that’s just stopped doing any form of development work as it makes no difference any more, if they go faster they just get slapped with another BoP penalty. I’m repeating myself again, but why not un-restrict the GTLM cars and just forget the prototypes. The GT cars are so good now and their speed unrestricted would be more than sufficient even for a place like Le Mans. You’ll easily get a ten second improvement per lap the ACO keep talking about if you let the cars run to their full power potential, give them some better tires and maybe 10 percent more aero. The Ferrari 488 have nearly 300hp more in their road-car than the race car, that alone is probably worth close to 6 seconds around a place like Le Mans. Put all the top drivers in them and it would be awesome. You would have just about every manufacturer of sports or supercars there and they would all have to build a road-car version of the car they compete with, that would be homologated accordingly. They would sell out that Le Mans limited edition street cars they build easily. For instance, there’s a three-year wait list for the Ford GT. They could all do the same thing. Aston Martin, Ferrari, Porsche, Audi, BMW, Lamborghini, McLaren, Corvette – they could all build a Le Mans based supercar and go for it big time. It would make a lot more sense in my opinion if any of those cars could win outright than the few prototypes that are now competing for the overall win. Everybody would compete under the same rules, no BoP, and may the best man win. JT – Formula E reached the halfway point of its season with the recent Punta Del Este E-Prix in Uruguay. Jean-Eric Vergne won, taking his second victory of the season and stretching his points lead in the championship over Felix Rosenqvist who took the checkers in 5th. Felix struggled with technical problems during the race, correct? SJ – Yes, he had some problems in qualifying but he drove a good race. The sensor for the beacon which relays his energy state to the pit wall broke. So he had no idea where he was in terms of battery power consumption and he had to be very conservative. He reckoned he could have gotten a podium finish if he had been able to attack all the way through the race and not lift and coast so much. When they got the car back in the pits after the race they looked at how much battery he had left and there was plenty left. He could have gone much harder if he had known. Jan Tegler – The Australian Grand Prix is now in the rear-view mirror. It was less than spectacular in many regards. And while uncertainty always accompanies the first race of any Formula One season, last weekend’s event in Melbourne seemed to be particularly fraught. In some ways it was downright embarrassing. What’s your take? Stefan Johansson – Well, in many ways it’s a sign of the times I guess. If this is the pinnacle of motorsport, as so many inside F1 keep referring to, and they can only get 15 cars on the grid there is every reason to start worrying about the state of affairs. This amazingly complicated technology that we now have is there because it needs to be seen as the “pinnacle”? It makes me scratch my head. Something’s fundamentally wrong. In my estimate the cumulative budget for all the teams currently in F1 is somewhere around $2 Billion, and they can’t get more than 15 cars to start the race. Eleven cars finished the race, and only one of those retired due to driver error or a crash. No form of racing should have to be this complicated. If a company like McLaren - with all of the resources, knowledge and experience they have - along with a manufacturer like Honda can’t produce a car that is even remotely close to the front, or able to run more than a handful of laps at a time, after having a year to work on it and having the opportunity to see what other constructors did it’s pretty extraordinary. You have to seriously question if F1 really needs to be this complicated. I have a feeling the desire to be politically correct have completely overtaken the fundamental reasons for going racing. I think there’s a chance this new engine formula could ultimately be the straw that broke the camels back. JT – Lewis Hamilton was dominant, winning the pole and the race ahead of Nico Rosberg. The two Mercedes drivers were the only competitors with a chance to win. I think most who saw the race would say that Mercedes GP may have an even larger advantage over the rest of the grid than last year. Do you agree? SJ – Yes, I don’t think there’s any question. And it’s not just their power unit. They seem to have done a good job with their chassis as well. Their cars are very agile. But we knew that going into Melbourne. They only ran on soft tires once throughout preseason testing and still were quickest. Everybody wants the competition to be equal in F1 but it’s not going to be. If you think back to Red Bull’s winning seasons, every time they had an advantage taken away it was because they had gained it by essentially finding a loophole in the rules. The FIA then plugged the loophole and they had to look for something else. I don’t know if it’s the same with Mercedes but I don’t think it is and so it wouldn’t be fair to penalize them or pull their performance back because they’ve done a better job than anyone else within the boundaries of the rules. JT – Obviously the weekend simply belonged to Hamilton. Nico couldn’t really keep pace when the checkered flag dropped. SJ – I thought Nico was looking pretty strong in practice and he might have the upper hand but when it came down to crunch time Lewis certainly did the job both in Qualifying and the race. Every time Nico turned up the wick Lewis was able to respond right away. It will be interesting to see how Nico will respond and if he’s able to lift himself mentally to pose a challenge. Lewis is definitely on a roll at the moment. JT – Vettel had what we must view as a good weekend with a podium finish. Räikkönen had a good start too but then got baulked in traffic, run into by Sauber’s Felipe Nasr and failed to finish after losing a wheel later in the race. 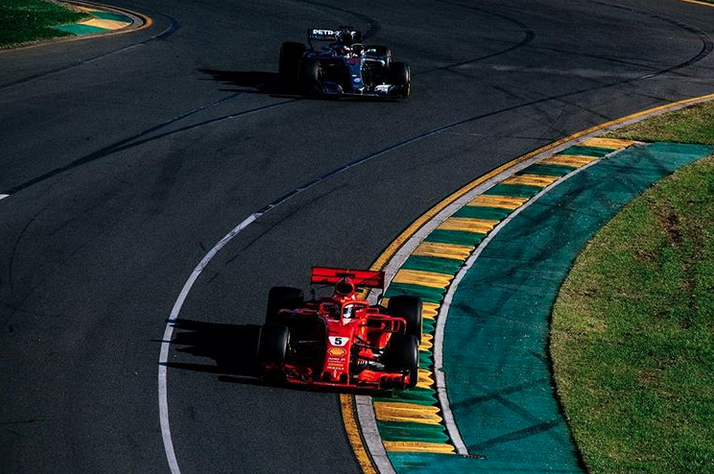 SJ – Vettel and Kimi both did a great job in qualifying as well as the race, Kimi got messed up on the first lap but was definitely coming on strong and I think he would have caught Felipe Massa and passed him at the end of the race if his wheel hadn’t come off. Ferrari has clearly tidied things up. Sometimes it doesn’t take a wholesale change. As long as you identify the areas where you’re weak or lacking, you can move forward with the right adjustments. Vettel and Räikkönen both struggled with their new cars last year because they couldn’t get them to turn in comfortably. That makes sense because they have similar driving styles. Clearly, they’ve addressed that issue with the Ferrari this year. Both drivers seem to be a lot more comfortable in their current cars. They were quick as soon as they rolled them out of the trucks in Spain for the pre season testing and have been improving ever since. Obviously, they have also improved the power unit and that’s maybe more crucial now than ever. The engines under the previous formula were all very, very similar. There was probably less than 20 horsepower between the best of them and the worst. JT – What’s your view on the performance of the rest of the frontrunners? SJ - It looks like Renault is in worse shape with their power unit than they were last year. Ferrari’s obviously made a tremendous step forward and Williams seems to be there too with their Mercedes power. For the rest, maybe with the exception of Sauber, it’s much the same with maybe some of the teams switching around from last year. Lotus should be a lot stronger than what showed in Melbourne with their new engine package. Once the season gets underway, development moves pretty quickly for the top teams and hopefully the grid will tighten up a bit. But if things continue like they did in Australia it’ll be even worse than it was last year. JT – On track, Sauber were true to their preseason form in testing and their cars obviously have decent pace. Despite contact with Räikkönen and Pastor Maldonado, Felipe Nasr finished in fifth place while Marcus Ericsson was eighth. SJ – Yes, I have to say Nasr was quite impressive both in Qualifying and the race, though he was lucky not to get any car damage from his contact on the first lap. Of course Marcus took the first points for a Swedish driver in F1 since my last point 25 years ago, which was great and about time I have to say. He had a bit more difficulty in the race than Nasr, especially in the early part but still did a good job and I have a feeling he will become stronger as the season goes by. JT – As you mentioned, Red Bull Racing looks to be in trouble. Ricciardo finished in sixth place a lap down while Daniil Kvyat didn’t even take the start, suffering a gearbox issue on the warm-up lap. Obviously the Renault power unit is significantly less powerful than the Mercedes units and isn’t reliable either. Christian Horner and the team have been rather critical of Renault and speculation is swirling that Red Bull may pull out of F1. SJ – In some sense that’s the way F1 has always been. Everybody’s posturing and pushing the limit all the time; it’s part of the game. If it wasn’t Red Bull threatening to pull out it might be somebody else. Maybe Mercedes might want the engine rules to be a certain way. Remember it was the manufacturers who collectively wanted to use this hybrid technology and here we are. Someone’s always unhappy, and there’s only ever one guy on the top of the podium and generally he’s also the only one who’s happy. JT – Speaking of unhappy people, the folks at McLaren and Honda must be wondering how they will turn things around. Although Jenson Button actually ran the full race distance, finishing 11th, Kevin Magnussen didn’t take the green flag due to a power unit problem and both cars were more than two seconds off the pace of the Mercedes GP machines. Where does McLaren go from here? SJ – They obviously have an enormous amount of hard work to do. It’s pretty extraordinary that Button finished. The most they had run the car in testing and practice was 12 consecutive laps. For them it must have felt like a kind of victory really. Even though they weren’t running the cars on the limit, the amount of data and information they’ll get from running a race distance will be very valuable. Every single lap you’re able to run these days is valuable because of the stupid testing rules which really limit the teams but don’t cut costs in any way. So any lap under race conditions is critical. JT – The off-track machinations were just as sordid as some of those on-track with the spectacle of driver Giedo van der Garde suing Sauber over his contract to race with them in 2015. Though the Australian and Swiss courts supported the validity of van der Garde’s contract he decided to back off for the weekend, allowing Sauber to race without having its assets seized. Widespread speculation is that a significant amount of money changed hands. SJ – I don’t know the full details of the dispute, but I assume that Van de Garde was in the right due to the fact he won the court case both in Switzerland and then again in Melbourne. The whole thing is amateur-hour at its best. The team has clearly just kicked the can down the road, hoping that they’ll find a way to resolve it along the way, then it became a major crisis right in front of all the worlds’ media, one cay before official practice is to start. It seems they have four drivers under contract for this season if we also include Adrian Sutil. To be in that position the day before practice starts, is not exactly an ideal way to start a new season. It was only because Van der Garde didn’t want to cause any problems or further embarrassment for the series or racing in general - otherwise the team would have been up the creek. I’m not sure this situation is resolved yet. Apparently it’s now been solved with some form of compensation agreed to Van de Garde. I have a feeling we haven’t heard the end of this saga yet. It’s a sign of the times though isn’t it? All four teams at the back of the grid are struggling. Or really, the teams in the middle as it were. There is no back of the grid anymore. The back is gone. It’s the middle teams who are left and are now all struggling to make it work. JT – True, although if Manor had actually turned a wheel on track perhaps they could be called the “back of the grid”. Bernie Ecclestone is said to be very frustrated with Manor after the team spent all weekend in Australia building its cars, not racing. SJ – I’m sure he’s angry, I would be too. It’s a disgrace for the sport and just shouldn’t happen in today’s day and age. Supposedly, Manor has a very substantial payment coming their way from the FOM if they were to compete. But they just showed up and didn’t even turn a wheel. Of course Bernie is going to be pissed off. I’m sure he could allocate that money to better uses. JT- Apparently Manor have some new investors or Team Owners that are providing the funding to bring the team back. SJ- Racing in general, and F1 in particular, has gotten so expensive nowadays that you no longer have the entrepreneurs –– the guys who are team principals with a combination of being great wheeler/dealers, with a good idea of what’s going happening on the engineering side and with a complete grasp of the overall situation and the ability to somehow make it all work. The only remaining team principal of that style is Ron Dennis really. Frank Williams is still around but he’s not really running the team anymore, his daughter is. Most of the team principals today don’t own the teams, they are the people ticking the boxes, albeit very competent and skilled at what they do, which is a whole lot different from having the responsibility of being the owner. This is why you get a threat from someone like Red Bull to pull out if they are not happy. The life and livelihood of Mr. Mateschitz, who’s the owner of Red Bull Racing, does not change if he’s in F1 or not, the same with Mercedes or Renault or any other manufacturer for that matter. None of them are first and foremost racing teams, they come into F1 because it serves a purpose of some kind at the time, but they also leave just as easy when their objectives are filled or they don’t see any benefits to continue. We saw this already with the departure of Honda, BMW, Toyota and Jaguar some years back. Often, people who have zero passion for the sport do this decision at board level. Ironically it’s those same people that are driving the costs through the roof. The top teams have something like 25 trucks carrying just the hospitality units to every race basically to feed, entertain and impress all the journalists. That’s it. For the most part, the only people in these facilities are the media. I’m not trying to put down the importance of the media in any way, but I am also pretty sure they will still get on with their jobs regardless of the fact that so and so teams Hospitality unit has three stories instead of two. The cost of just this one part of their operations is massive and of course they all try and top each other with one unit larger and more tricks than the other. That’s fine of course when you have lots of multi-national sponsors like Vodaphone or other big companies behind you but they’re not there anymore. The amount of equipment the teams are carting around to all these races is mind-boggling. Most of the top teams have three complete set-ups of equipment for flyaway races. They’re in special containers that rotate. Now that they’re done in Australia that set of equipment will go on a boat to China. Another set-up exactly the same, is already in Malaysia. Again, the cars have become so complicated now you need something like 30 tons of equipment and people to run them. When you need 50 guys in the back of the garage to stare at computer screens just to monitor all of the cars’ systems it’s bonkers. JT – Will the racing improve in Malaysia? SJ – Well, all things being equal it should get better but it’s astonishing to me that the teams have all had a year to improve and things aren’t a lot better generally. But the one thing, which always impresses me with F1, is how quickly they are able to improve or change, so I think every race going forward will get better. JT- They announced before the start of the season that drivers are only allowed one design on their helmet for the full season. This is apparently because the fans are having difficulty in recognizing the different drivers in their cars. SJ- I don’t quite follow that one; is that the best they can do? Who cares? The numbers on the cars are so small you can’t even see them anymore for starters. I don’t think the helmets will help much. To start with, you can barely see the helmet anyway as the drivers are tucked so deep inside the cockpit with the headrest and side support surrounding them. You can only see the very top of the helmet. I’ve always had the same helmet design with very small variations depending on sponsors. That’s a personal thing. I find it weird that they have to interfere with that of all things. The helmet design is a very personal thing for every driver and some like to keep the same design forever; others like to change it for different reasons or special occasions. I personally thought it was pretty cool how Vettel had a different design almost every race, it was very creative and fun in my opinion, and if that’s his choice of expressing himself why stop it. If they really think they’re losing fans because they can’t recognize the drivers’ helmets it’s worrying. I think a much bigger part of the problem with the fans today is that Formula One isn’t really on the edge in a sporting sense anymore. The cars don’t look that way and it certainly isn’t that way. There’s no secret that NASCAR catapulted itself in the eyes of fans when it contained a greater element of risk. It probably quadrupled its viewership with some of the high profile incidents. Formula One had a similar attraction in the wake of Senna’s demise. As harsh as it sounds, that’s the reality of it. Being on the edge is part of the appeal of racing and it’s just not there as much anymore. The tracks are completely sanitized, the cars have so much grip that some of the classic and most challenging corners are all gone, either replaced by a chicane or they have simply become so easy that they are not a challenge anymore. JT – On the sports car racing front, the opening race of the season for Pirelli World Challenge at Circuit of the Americas had a very impressive entry and some good competition even though the weather wasn’t ideal. Scuderia Corsa was there with three Ferrari 458 GT3 Italias and performed respectably in what was only its second outing in PWC. SJ – Yes, everybody’s very positive about it. I don’t think there’s a championship in the world with a bigger grid than what they have there now. There are good cars, good teams and good drivers. I think they’ve found a great formula. It’s great to see that there is some real health in sports car racing. Most of the other series are limping along more or less with half-full grids in most of the categories. JT – In endurance racing news, the ACO has recently floated a proposal that would see the P2 category become much more homogenized for 2017 with a limited number of approved chassis constructors (just four) and a spec powerplant in ACO-affiliated series. This would move P2 much more in the direction of spec racing. It’s a controversial proposal supposedly aimed at cutting costs and increasing collaboration between the FIA, ACO and IMSA. Not everyone is enthusiastic about it including some prospective manufacturers. SJ – It’s hard to understand what their (ACO) angle is. I don’t think anyone will leave P2 for P1. I believe P1 is 100 percent for manufacturers. P2 should be for everything else including Rebellion and the rest of them. What’s the point of Rebellion or anyone else running around being five seconds a lap slower than the manufacturers? In a larger sense, all these restrictive boxes that have been created in so many series with the goal of controlling costs – I don’t think they cut costs. I think those types of rules actually increase costs. People will spend endless money honing and tweaking components of any kind to find that last half-a-percent of performance. That’s the only way you find an advantage. If you have more open rules you get much more innovation and you don’t need to optimize everything. If you have something that’s innovative and different and that works well - even if it’s only working to 80 percent of its potential - it’s still going to be quick. The money you’d spend on that is probably a fraction of what you’d spend endlessly refining a spec formula. I’ve said it before but I firmly believe the way forward for auto racing in general is to get away from aerodynamics. It kills the competitiveness of racing, drives costs through the roof and doesn’t return any real benefit to road vehicles anymore. Instead of having all these restrictive boxes just limit downforce in every kind of car, just as you limit the engine size, or any other performance criteria on the car. Then you could have a much more open rule book for other aspects of the car, which will by default invite innovation in other areas. JT – Testing of the new IndyCar aero kits from Chevrolet and Honda has been underway at Barber Motorsports Park this week. Drivers report that the cars have much improved downforce and that they are able to carry more speed through corners and brake significantly later. Their debut is being referred to as beginning of a new “Era of Aero”. That could impact the competitiveness of the racing this season. Whether that’s positive or negative remains to be seen. SJ – With higher loads from the downforce these cars will be way harder to drive physically. They don’t have power steering. It will be interesting to see what the racing is like. No one will really know anything until qualifying at St. Petersburg. But I think the racing might be worse, honestly. The one thing they didn’t have a problem with in Indycar was the level of competition. They’ve done a relatively poor job of everything else except the racing and that’s going to change now? It is the best show in open wheel racing, always exciting and down to the wire. I really don’t think anyone cared about the similarity of the cars apart from some anoraks, and I absolutely don’t think the fans they need to attract would even know the difference.